KFamilia Toni Alyessa Hipolito is the newly proclaimed Miss Globe queen! Last year, former Bb. Pilipinas candidate Toni Alyessa Hipolito was scheduled to compete for Miss Globe International. It would have taken place in Turkey but, as you know the war in Syria and the problems caused by this issue - terrorism which threatened Europe and the Mediterranean region - made it impossible to hold the event last year. But in a letter from Miss Globe International president Rasim Aydin to Toni Hipolito, he gladly informed the beauty queen that "you are going to be announced as the 90th Miss Globe International in Antalya, Turkey on October 21, 2017." Aydin further informed Hipolito that "on the gala night of the 91st Miss Globe International, you will hand over the crown to the next titleholder." Apparently, even if the pageant did not push through last year, the pictures of the contestants on the official website and social network account have not been removed and the likes to the posts exceeded 1,000,000 which prompted the beauty organization to select Hipolito as Miss Globe International 2016 Beauty Ambassador. Will Toni pass on the crown to another Filipina? Our delegate is Ina Patricia Gita, who was crowned as Jewel of the Philippines-Globe International last year. She will leave for Turkey very soon along with Hipolito who will be officially installed as the current titleholder. Don't mind the numbers (90th) preceding the pageant title because that is debatable. 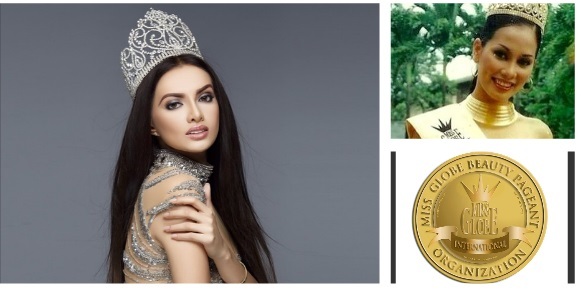 What is gratifying to know is, technically and officially, two Filipinas have won the crown - Maricar Balagtas (now Mrs. Ferdie Arciaga) in 2001 and Toni Hipolito. Miss Globe International must not be confused with the Miss Globe Pageant that was won by Ann Loraine Colis in 2015 and where Bb. Pilipinas-Globe International Nelda Ibe will compete soon, although the organizers of both pageants were partners many many years ago. The Miss Globe International 2017 finals will be held at the Eftalia Okyanus Hotel in Antalya, Turkey. Toni was one of the Top 10 semi-finalists during Bb. Pilipinas 2008 and re-joined in Bb. Pilipinas 2010 and in 2015. 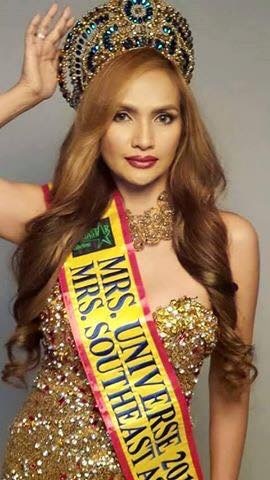 Her Tausug princess' mother, Jay Angelique Jaafar was Mrs. Universe-Philippines for 2015 and took the Mrs. Southeast Asia title. Maricar Balagtas, Miss Universe Philippines 2004, was the first Filipina Miss Globe International winner in 2001. Maricar was Bb. Pilipinas 2001 2nd Runner-Up then and was sent by BPCI for the Miss Globe International competition.